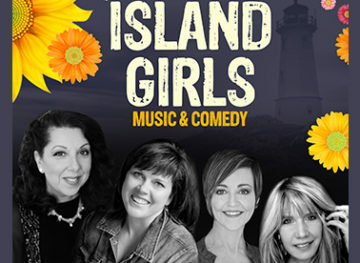 Strathspey Performing Arts Centre is pleased to bring the Savoy Theatre production of ISLAND GIRLS, Music and Comedy, featuring four of Cape Breton’s busiest female performers: BETTE MACDONALD, HEATHER RANKIN, LUCY MACNEIL and JENN SHEPPARD. The Fab Fem Four – each representing a different facet of Cape Breton Island’s entertainment community – are set to combine their individual musical and comedic talents, to take audiences on a journey to celebrate all things Cape Breton. Show-goers can expect to enjoy some belly laughs while they catch up with a few familiar characters, sing along with some old favourites and maybe even hear some new ones. The quartette will be backed by musicians Stephen Muise, Fred Lavery, Brian Talbot, Emily Dingwall, Richard Burke and Colin Grant and is sure to help you shake off those winter blues!